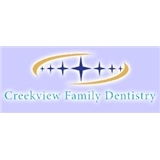 Creekview Family Dentistry (Lewisville) - Book Appointment Online! Dr. Mathew and her staff are well-trained professionals who work together as a team to bring you our high standards of dentistry in a warm, caring setting. We appreciate the opportunity to get to know you, as you get to know us. We encourage you to become involved in creating and maintaining your dental health. At the first visit, after a thorough examination, you and Dr. Mathew will discuss your needs and desires and together develop your personalized dental healthcare plan. We will work with you to plan and schedule your treatment, determine your insurance benefits and help you make financial arrangements before beginning any treatment. The staff makes you feel comfortable as soon as you come in, the doctor is friendly and explains everything very well as your appointment progresses. All this plus a beautiful view while you're in the chair. If you have to go to a dentist - try Dr. Mathew, you won't be disappointed.